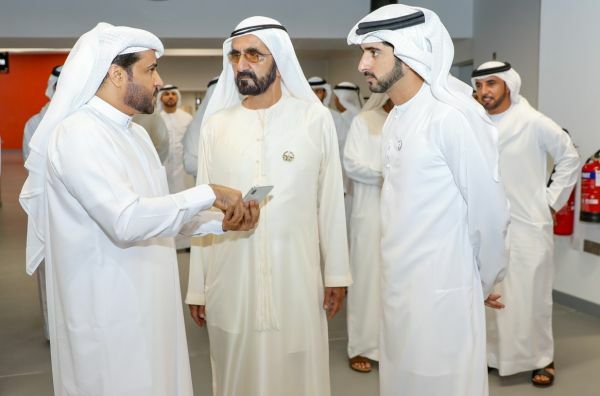 DUBAI, 1st April, 2019 (WAM) -- His Highness Sheikh Mohammed bin Rashid Al Maktoum, Vice President, Prime Minister and Ruler of Dubai, today visited Coca Cola Arena, the new multi-purpose arena developed by Meraas at City Walk. The venue is the largest indoor arena of its kind in the Middle East and North Africa region. One of the world’s biggest event and hospitality destinations, Coca Cola Arena is set to reinforce Dubai’s reputation in the tourism and family entertainment sector. The development of the venue is aligned with the objectives outlined in ‘Dubai’s Tourism Vision 2020’ and the ‘Dubai Tourism Strategy’ that aims to attract 25 million tourists a year by 2025. 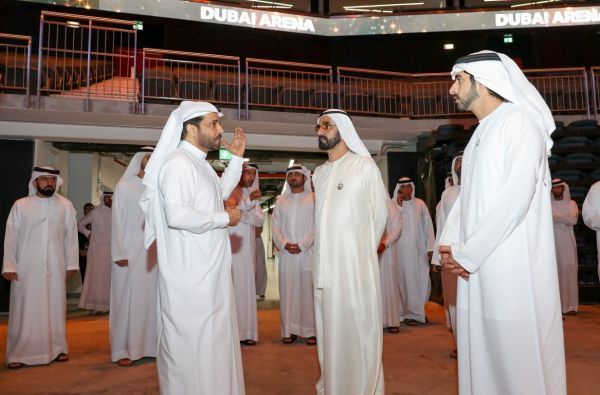 Sheikh Mohammed was also briefed on the eye-catching active-lit facade at Coca Cola Arena, which has the capacity to accommodate 17,000 visitors and host multiple events across diverse domains all year round. Abdulla Al Habbai, Chairman of Dubai Holding and Group Chairman of Meraas, said, "Fuelled by the pioneering vision of His Highness Sheikh Mohammed bin Rashid Al Maktoum, Dubai has become one of the most ambitious cities in the world, offering endless possibilities as a global hub for multiple industries. With Coca Cola Arena, the city has set a new benchmark in the tourism and family entertainment sector - shaping a new avenue for economic growth while also enhancing the emirate’s potential as a top destination for some of the world’s most prestigious events. "We believe that Coca Cola Arena perfectly complements City Walk’s unique community and lifestyle experiences and is a game changer in Dubai’s efforts to consolidate its status as a premier tourist destination." 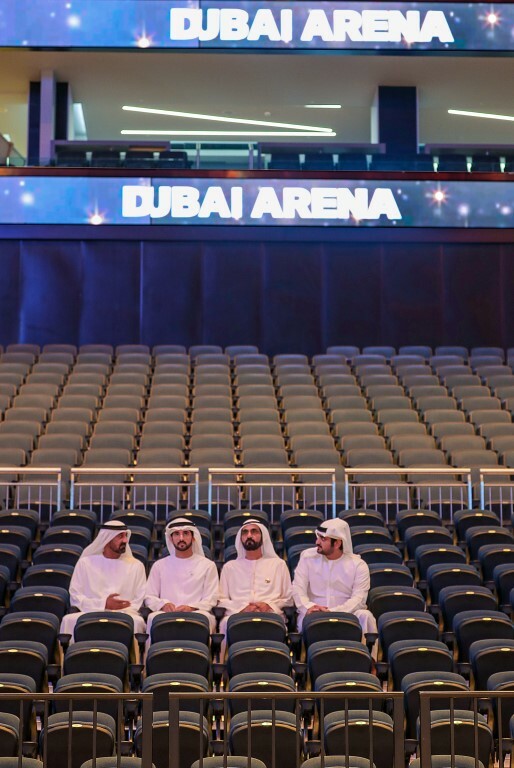 Coca Cola Arena is set to enhance Dubai’s entertainment scene, attract the best live entertainment acts and international sport events, and offer residents and visitors the very best in modern entertainment experiences in the heart of the emirate. The day-to-day operations of Coca Cola Arena are being handled by international venue management company AEG Ogden, part of the Anschutz Entertainment Group, AEG, a wholly owned subsidiary of the Anschutz Company that owns, controls or is affiliated with over 150 of the world’s preeminent event facilities. Its portfolio currently includes: The O2 in London, STAPLES Centre in Los Angeles, the Mercedes-Benz Arena in Shanghai and Qudos Bank Arena in Sydney.